At the bottom of Maple Mountain you can find the Greasy Gear Garage. It is owned and operated by Wendy. The winding mountain roads cause many accidents, which leaves Wendy with a lot of work. 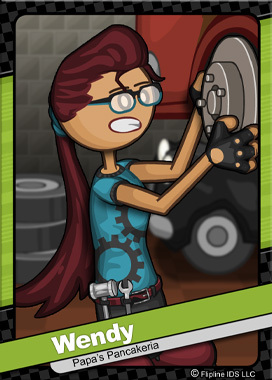 Although she can fix just about any car, Wendy’s expertise lies in motorcycles. When a repair is needed, Rico and Akari’s garage of choice is the Greasy Gear.